Home Wearable News BB10 fails – So is BlackBerry finally finished? BB10 fails – So is BlackBerry finally finished? BlackBerry were the pioneers of the smart phone era. With the launch of their QWERTY keyboard led ‘PC’s in your pocket’, they captured the hearts of the business community and grew into one of the largest technology companies in the World. Then Steve Jobs launched the Apple iPhone in 2007. Almost since that day, BlackBerry have been on the decline. The iPhone has fallen into the typical aggressive Apple update cycle, with the latest incarnation, the iPhone 5S and/or the iPhone 6 set to launch this september. During this time Samsung have grown exponentially too, to the point that they are now the dominant market leaders, with a 75% market share in the mobile space. All of this had left BlackBerry on the scrap-heap – that was until the BlackBerry 10 OS launch and their new range of smart phones powered by it launched this year. BB10 was heralded as the saviour of the company, so what happened? Read: Is this the iPhone 6? Essentially, not a lot. The company lost over $84 million during Q2, forcing them into a series of climb-down, including the discontinuation of their failed playbook tablet. Whilst this loss significantly trumps the one they made during the corresponding quarter of 2012 – that loss was a ghastly $518 million – this one is in some ways worse. Last year, the company were investing heavily in the technology required to fight back. On the back of the much heralded BB10, and the significant marketing push that came with its launch, this years loss of $84 is significantly worse than analysts forecast. To further compound the bad news, Blackberry have confirmed that they will post a loss for Q3 as well. This poor performance has clearly left the investors unimpressed. Early trading on Friday saw an immediate 25% wiped off the company’s value. With more bad news forecast, alongside the upcoming launches from Apple and Samsung during Q3, things are beginning to look seriously bleak at BlackBerry. Read: Are BLackBerry right, are tablets just a fad? Perhaps of most concern is the apparent state of denial that the companies Chief executive Thorstein Heins has found himself in. In a recent statement, Heins said the company was continuing to focus on the global roll-out of BB10 and was confident it would be a hit with customers. A significant part of the company’s turnaround strategy lay at the feet of the BlackBerry Z10, which launched last quarter as their new flagship smartphone. 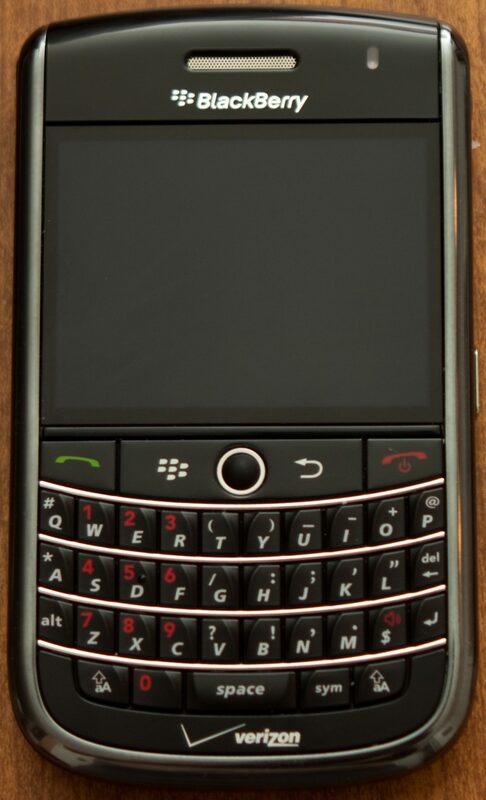 Ditching the iconic BlackBerry keyboard – which remains one of the enduring popular BlackBerry features – the Z10 closer resembled other popular smartphones. Blackberry said that it had shipped 6.8 million phones overall in its first quarter, which compares to 7.8 million in the same three-month period last year. That means that despite the launch of the Z10, as well as the Q10 which did feature the popular QWERTY keyboard, BlackBerry still leaked one million sales over 2013 v 2012. “It doesn’t bode well for the initial Blackberry 10 launch, particularly the Z10. But even the outlook for a second-quarter loss doesn’t bode well for the Q10 either,” Brian Colello, Morningstar analyst . Colello is right, quite simply because smart phones are not like vintage wines – their sales do not increase over time. The rapid fire nature of the technology sector in general and the smart phone sector specifically means that new phones have a very limited time frame in order to win the market. Blackberry face an ever more competitive landscape, and this is only set to get worse this year. BlackBerry: A company with no identity and declining sales – are they now finished? It is now difficult to see where the company can go. There’s little doubt that they put a lot into the big push of 2013. They invested heavily, perhaps wagering a significant chunk of their remaining cash reserves. Despite the denials, BB10 has failed. It is not going to pick up steam during a quarter that will see the arrival of the new iPhone and new releases from Samsung. So the negative outlook may actually be a terminal outlook. Whilst we asked if BlackBerry are now finished, it does appear that they may be reaching their swan song. They may not quite be beyond saving, but it would take a person with incredible vision and direction to pull it off – where is Steve Jobs when you need him?